Weird Ape watches have been designed to reinvent, go against the grain, shake up the old and boring and bring in the fresh and unusual timepiece collections. This new collection of stylish watches is available in a choice of colours that include brown, black, blue, grey and green and many more. Using high end materials such as sapphire crystal glass, suede leather and 316L surgical steel were shaped by master craftsmen to eventually produce Weird Ape watches. Weird Ape watches are growing in popularity with those who want a stylish watch that can be worn on all occasions. 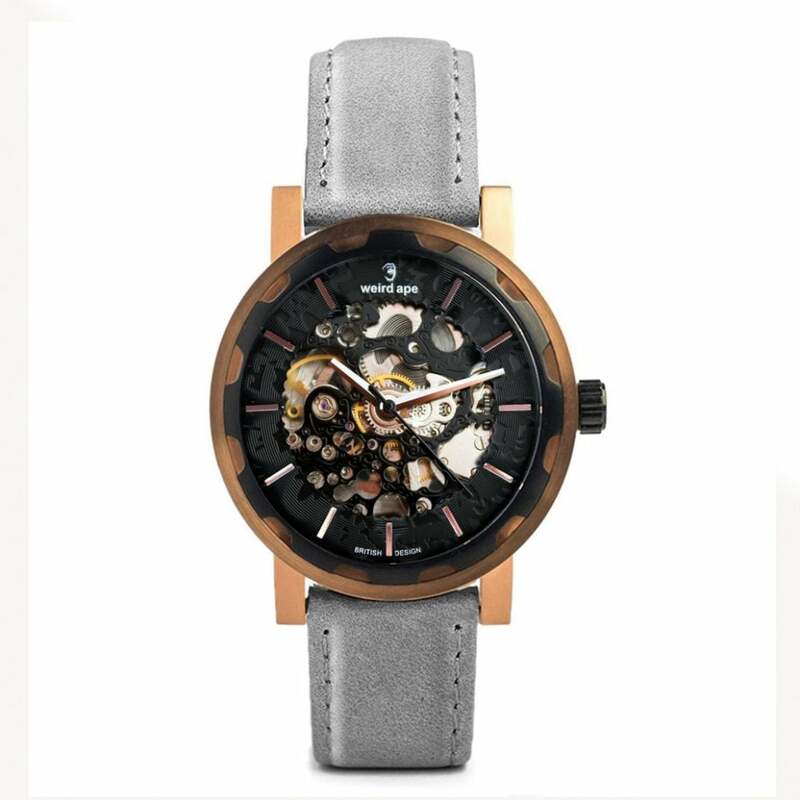 Here at Tic Watches, our collection of Weird Ape watches are available at great prices, making this watch brand extremely popular with our customers. With a look and feel that resembles some of the world’s most luxurious watch brands, Weird Ape watches are made for the everyday man and woman. So whether you are looking for a new watch for yourself or a gift for the someone else in your life, you will find the perfect watch here on our website.